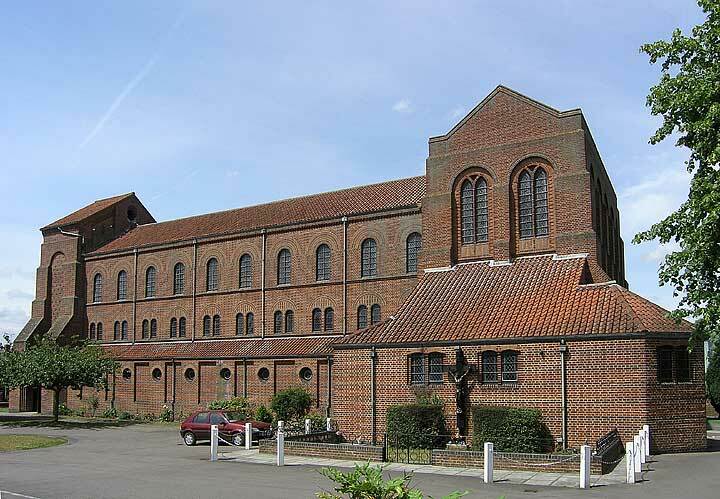 St John the Evangelist Church was built 1955-7 to a design by S.E. 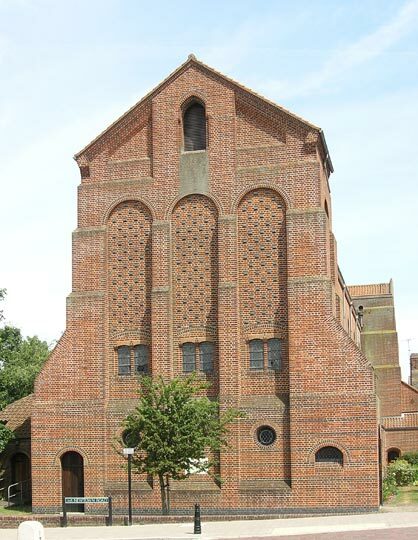 Dykes-Bower in a neo-Romanesque style. 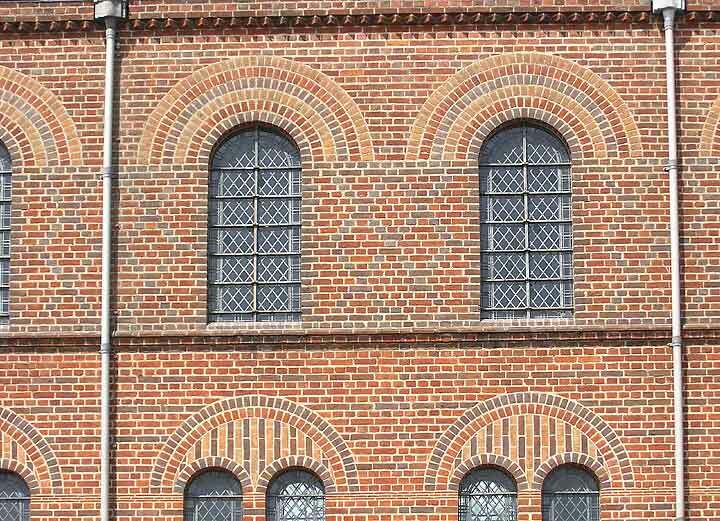 An impressive large brick church of overall red hue which on closer inspection reveals patterns of many different colours of brick. About 3/4 million bricks in total. 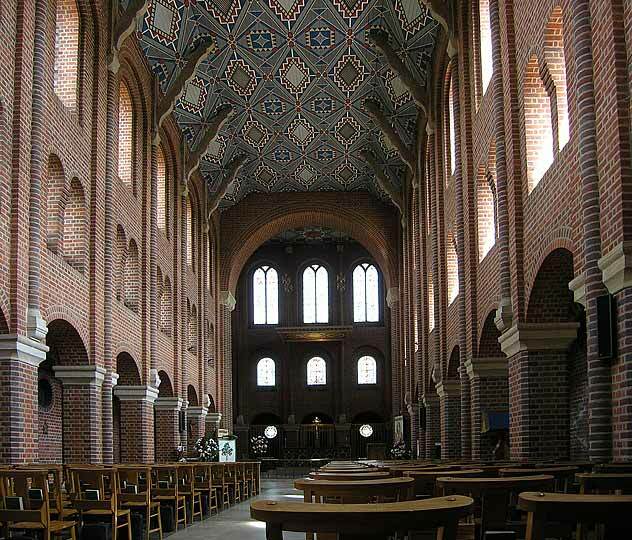 Nikolaus Pevsner only has one very brief comment on the church: Red brick, large, in a kind of neo-Romanesque, neither period nor modern. One detects a slight note of purist disapproval of an impressive and attractive structure. 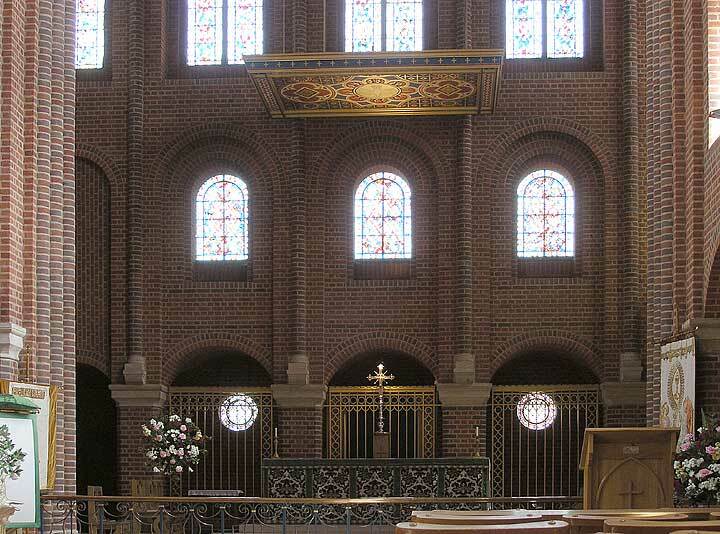 The sanctuary at the east end is of two bays and is higher than the nave (in right of first picture). Projecting from it to the south is the Lady Chapel and to the north the sacristy (not visible). At the west end the bell tower, only slightly higher than the nave. 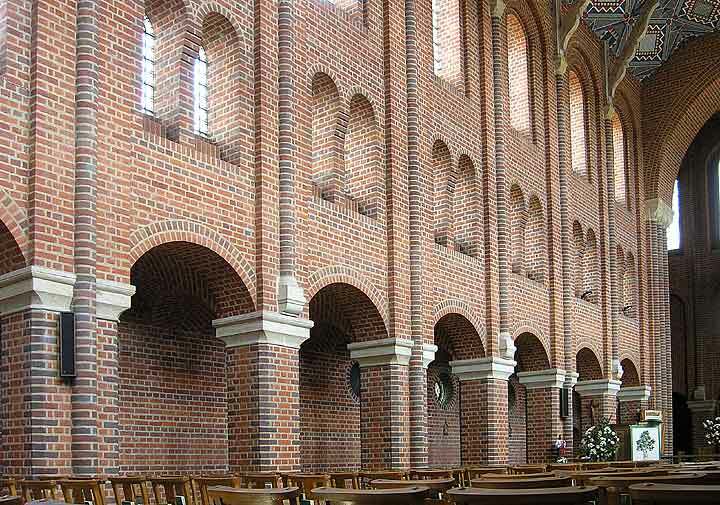 The nave interior, three storeys formed by arcades, triforium and clerestory. 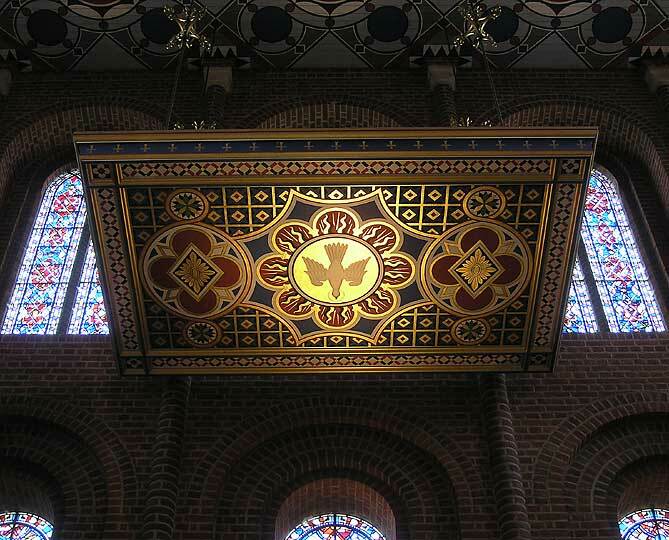 The sanctuary at the far end has a striking tester (canopy) high above the altar. 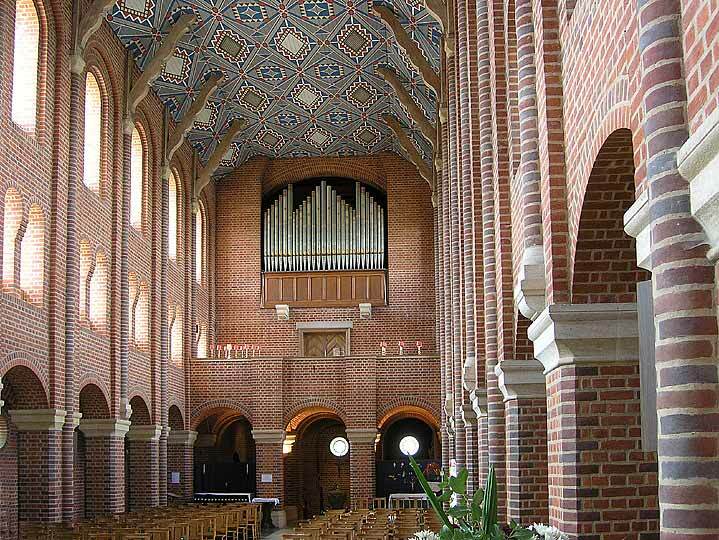 Looking west to the gallery and organ. 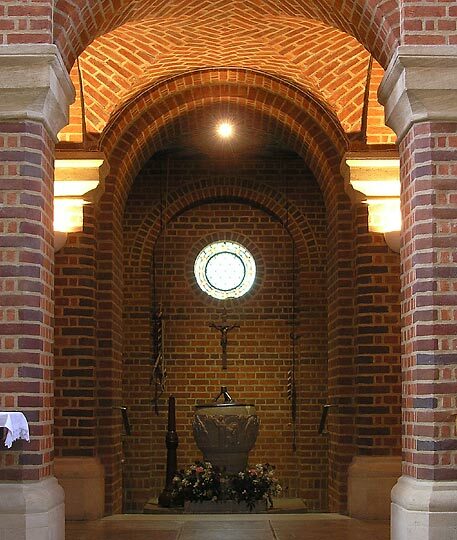 Under the west tower the baptistry. The font is carved from a single piece of stone.